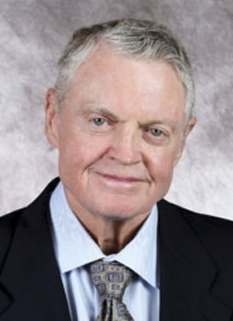 Tom Osborne is currently the Athletic Director at the University of Nebraska. 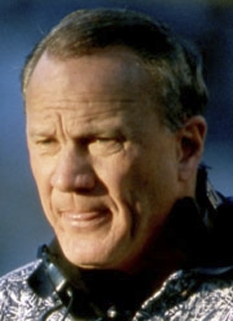 He was the head coach of the Cornhuskers football team for 25 years (1973-97), succeeding Bob Devaney. 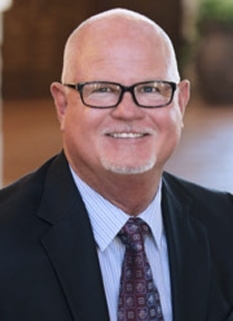 After coaching, Osborne was elected to Congress in 2000 and served six years in the United States House of Representatives as a Republican from Nebraska's 3rd congressional district. In 1964, Osborne joined the Cornhusker coaching staff as an unpaid offensive assistant to head coach Bob Devaney. His only compensation was being able to dine at the athletic training table. 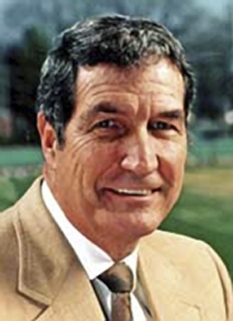 After two disappointing 6-4 seasons in 1967 and 1968, Devaney named Osborne as offensive coordinator for the 1969 season. Osborne immediately overhauled the offense, switching to a balanced attack from the I-formation. The revamped offense sparked the Huskers to a share of the national title in 1970 (placing first in the Associated Press poll, but second in the UPI poll, which awarded first place to Texas before they lost to Notre Dame in the Cotton Bowl) and an outright national title in 1971. Devaney stepped down as head coach after the 1972 season to concentrate on his duties as athletic director and named Osborne to succeed him. 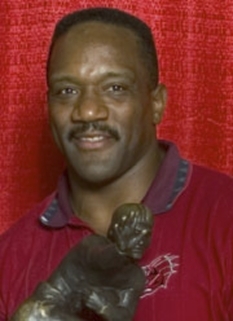 Osborne remained as coach until the end of the 1997 season, serving for most of that time as his own offensive coordinator. 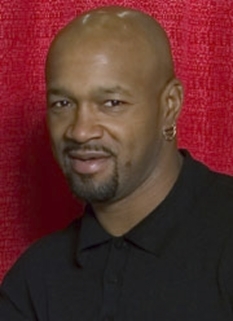 Osborne and the 1997 national championship team were the guests of honor at the Huskers' 2007 Homecoming game on October 13. Just two days after the resulting 45–14 loss to Oklahoma State – Nebraska's worst home loss since being shut out 31–0 by Missouri on November 1, 1958 – athletic director Steve Pederson was fired. 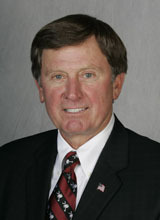 On October 16, 2007, Osborne was announced as the interim Athletic Director following Pederson's departure. 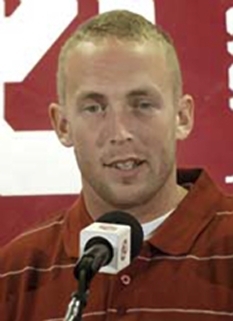 On November 24, 2007, Osborne fired Head Football Coach Bill Callahan following a 5-7 season. During the period of time when Nebraska had no head coach Osborne appointed himself the interim head coach so that he could perform recruiting duties while remaining in compliance with NCAA rules. 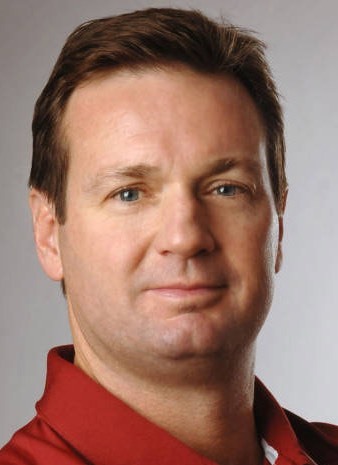 On December 12, Osborne named Bo Pelini the new head coach of Nebraska. On December 19, it was announced that Osborne would remain as athletic director through June 30, 2010, effectively moving him from interim status to permanent. Osborne will be paid $250,000 per year and will manage Nebraska's 23-sport program. DISCLAIMER: PFP Sports Talent Agency does not claim to represent itself as the exclusive agent for Tom Osborne. PFP Sports Talent Agency is a booking agency that represents organizations seeking to hire pro athletes and sports personalities such as Tom Osborne for speaking engagements, personal appearances, product endorsements and corporate entertainment. Fees on this website are estimates and are intended only as a guideline. Exact fees are determined by a number of factors, including the location of event, the talent’s schedule, requested duties and supply and demand. PFP Sports Talent Agency makes no guarantees to the accuracy of information found on this website and does not warrant that any information or representations contained on this website will be accurate or free from errors. We are often asked how can I find out who is Tom Osborne's agent? To find Tom Osborne appearance fees and booking agent details, you can contact the agent, representative or manager through PFP Sports Talent Agency for speaking fee costs and availability. PFP Sports Talent Agency can help your company choose the ideal sports personality for your next marketing campaign. To hire Tom Osborne for an appearance, speaking event or endorsement, contact Tom Osborne's booking agent for more information.